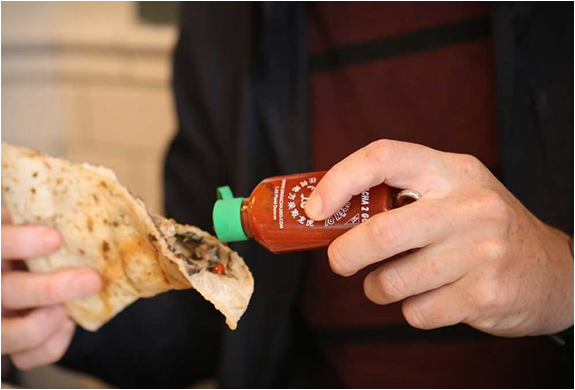 Sriracha junkies rejoice, your life just got a whole lot spicier! 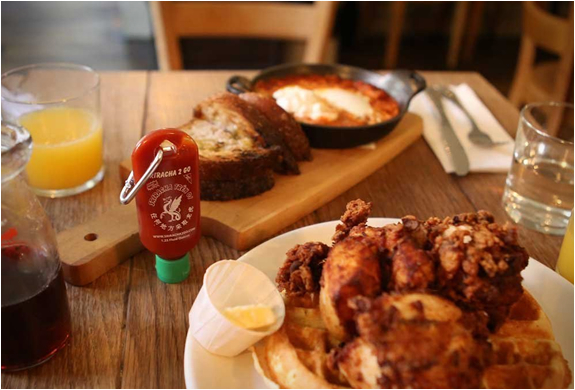 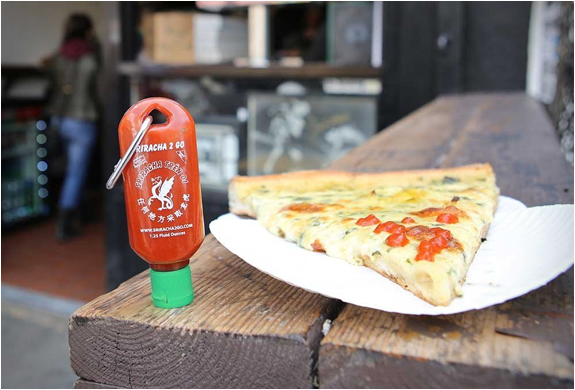 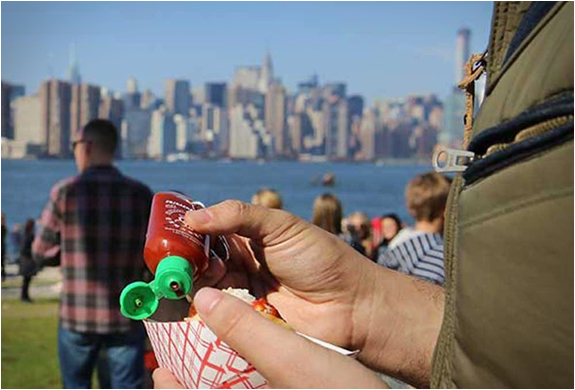 With the portable Sriracha2Go, you’ll never worry about a sriracha-less meal again. 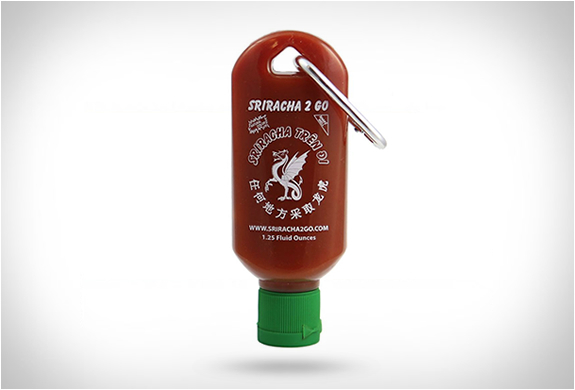 Not every establishment keeps the famed Thai hot sauce on hand for the chili enthusiast, Sriracha2Go solves this problem, simply fill your empty pocket-sized S2G bottle with your favorite sriracha and clip it to your keychain, bag, or belt loop and you´re set to eat your sriracha-loving-heart out.